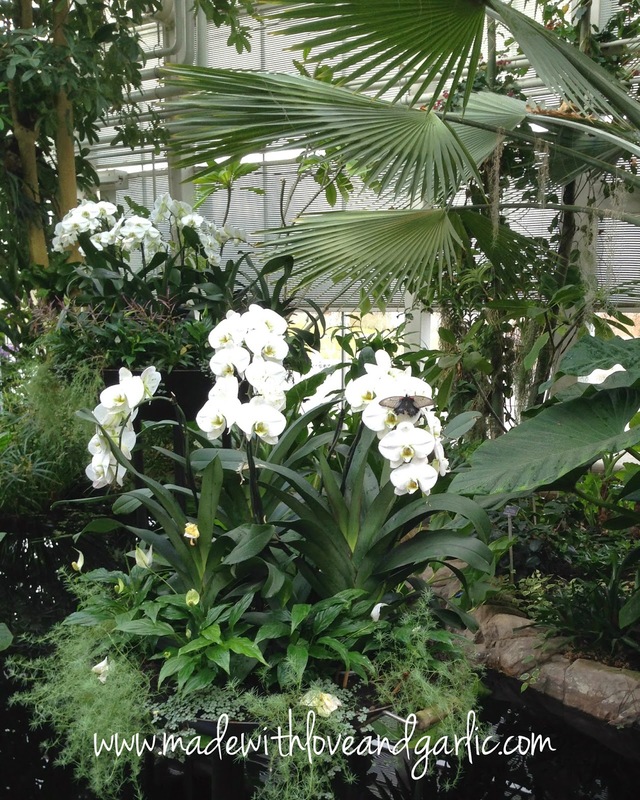 RHS Wisley is one of the loveliest gardens with reach of London. 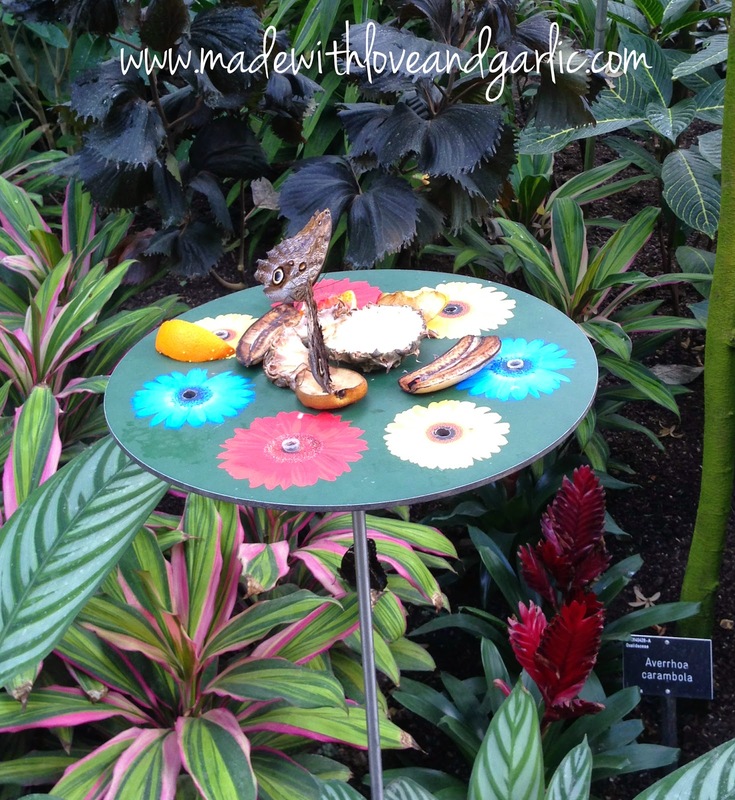 And the Butterflies in the Glasshouse exhibition is one of the nicest wildlife exhibits I’ve ever seen. As per usual, when we reached Wisley and decanted GarlicBaby into his pram, we were surrounded by a sea of other parents with their own prototype humans. The only good thing about being turfed out of bed at 7am by an infant every day is that you generally don’t have to queue for attractions because you’re there as soon as they open. 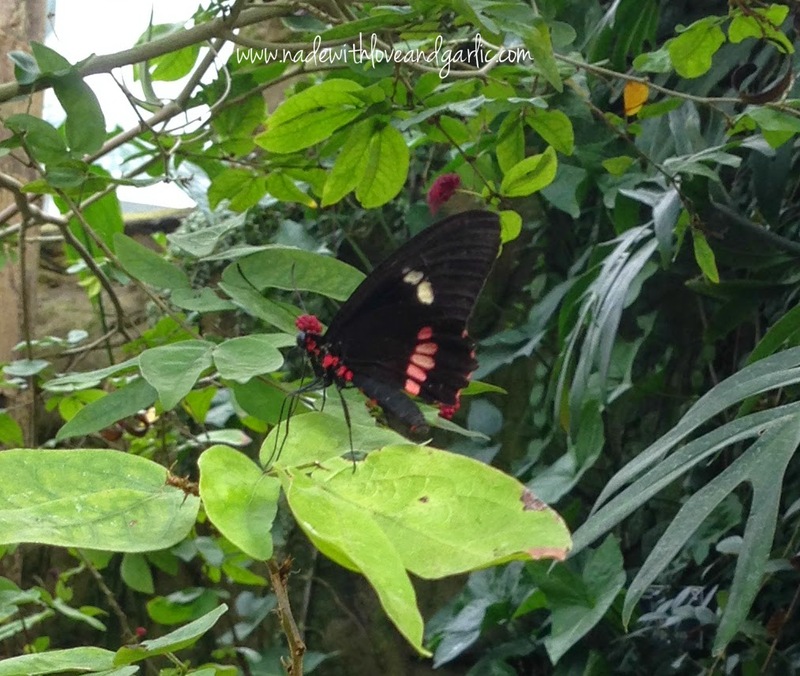 We managed to get into the glasshouse where a variety of beautiful, exotic and enormous butterflies fluttered about in a jungle-like atmosphere. It was extraordinary. Even very small children like GarlicBaby (at seven months old) were captivated by the lovely and fragile creatures as they pranced and flitted about. 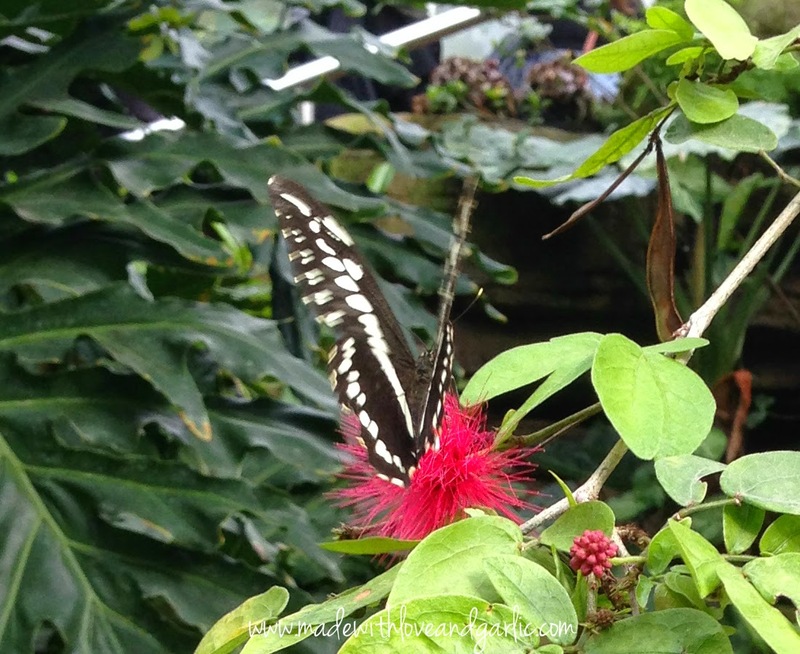 The butterflies looked no less the worse for having been shipped to Wisley from a farm on Belize. Indeed, they were jaw-droppingly amazing to see up close. If you haven’t been, go now, before they’re all gone.